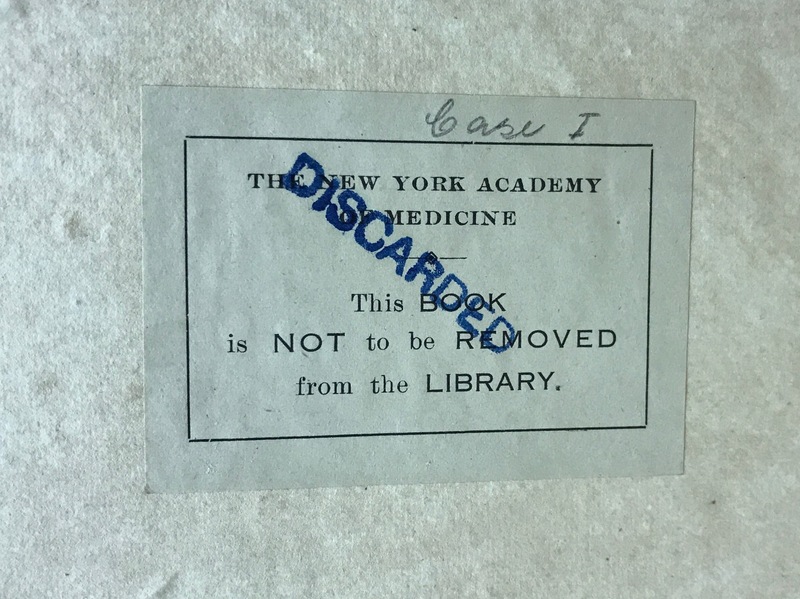 DISCARDED stamp on a former New York Academy of Medicine Bookplate. This book has been discarded twice, and is now back in a Rare Book Collection. A somewhat ironic placement of this DISCARDED stamp. I suspect every institution has sold, discarded, or recycled books in their collection, often quite quietly, not just the NY Academy of Medicine. I’m amazed how many books I have worked on that were deaccessioned at some point in their lives, then recollected, once again deemed valuable. 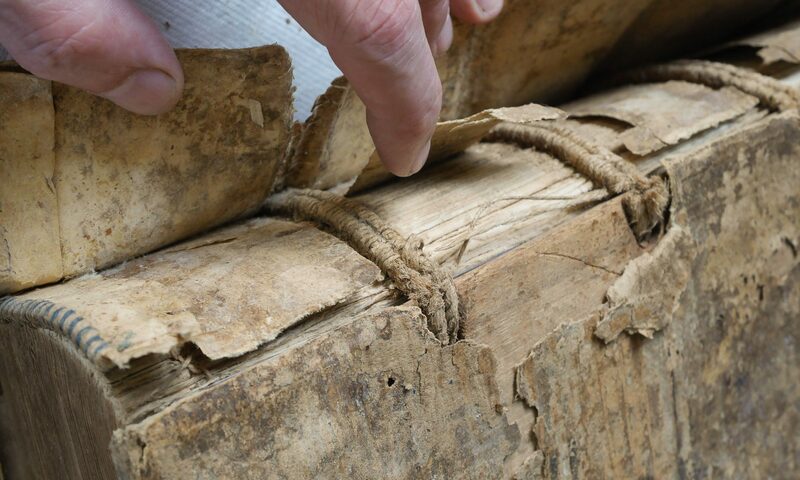 What is considered a rare book changes. I’ll lay good money that a lot of currently “non-rare” books will become rare at some point in the future. Will all paper based codex books be rare someday?